George Cutchall. 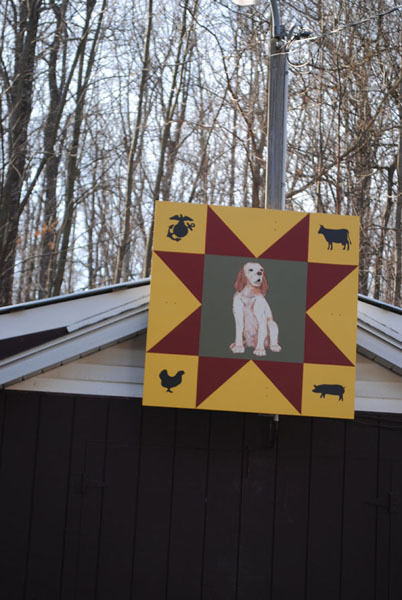 The barn quilt was designed by his wife Chris and painted by Tom Duffey. It was given to George as a Christmas gift by Chris. George always wanted to be a Marine and to own a farm after he served his country. He has done both. He now raises cattle, chickens and pigs. The dog in the center of the barn quilt was his contant companion, Akarmu. George loves life and lives it to the fullest!